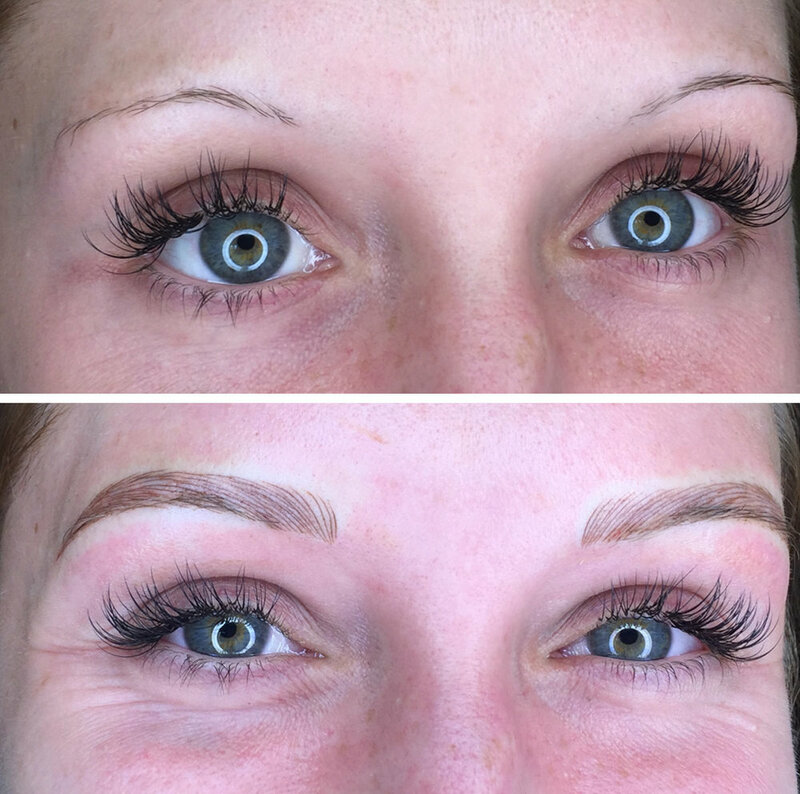 “Micro-Stroke Brows” also know as brow embroidery, micro-blade, HD brows, Hyper-realistic brows and many other fancy names are all the rage now for very good reason. It is without question the premier service to simulate brow hairs and create a very natural, ‘fleek' brow illusion. cosmetics. An alarming number of estheticians who take a two day course are now offering micro-blading to their clients. Please be aware that you could possibly be trusting your face to someone who has not had the minimum 100 hours training with a professional organization that is not under cosmetology jurisdiction. Unless they can provide proof of membership with the SPCP and credentials which prove they have gone through adequate training in the field of permanent cosmetics, the money you save could end up costing you. There are many areas of study when learning these techniques, which include facial morphology and bone structure, brow shaping and design, color analysis, color theory, proper handling of equipment, prevention of cross contamination, as well as practice work and the opportunity to observe procedures before actually performing them under supervision. Anyone interested in pursuing training in cosmetic tattooing, including micro-blading, should first check with state and county regulating agencies. This would also include verifying the qualifications of any trainer, in addition to checking with regulatory agencies for trainer compliance with local health, safety, or permit requirements if the trainer is travelling from another state or country to offer training. If you are interested in this service please be aware of the nature of the procedure. Once you have booked a service with me, you will need to follow the pre-procedure care instructions, be aware of the down time and aftercare, what the tattoos look like when they are healing, (seen below), and what they could look like before the touch up, (seen below). document the process following services with a world renowned Master Trainer. You’ll notice the striated patter on flaking and the almost invisible tattoo underneath the scabs. 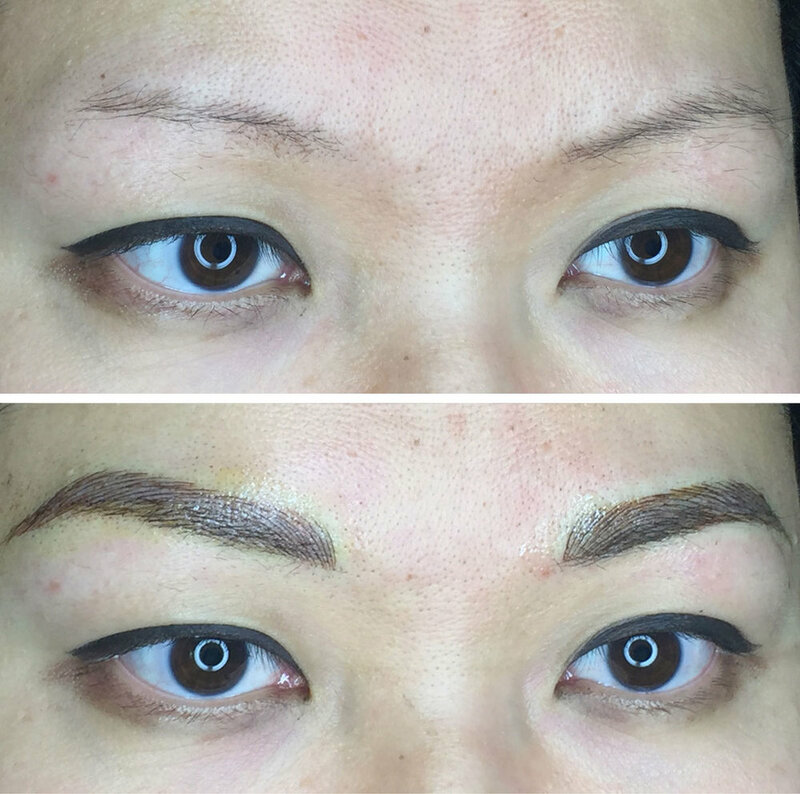 ***If you have had eyebrow tattoos in the past and still have visible pigment in your skin, please send images to me at ashley@bellametrics.com to determine whether micro-stroke brows or another technique is suitable, or if you need to consider removal. Please review the Microblading FACT SHEET for more information.